In my video today I’m going to show you the process for making ghee out of butter. It’s really, really easy. Well, butter is made mostly of dairy fat with a little bit of dairy solids – meaning the milk sugars and proteins. When people have problems tolerating dairy products (ala lactose intolerance or allergies), the problem almost always lies with the sugars and proteins aka “the milk solids”. Usually even lactose intolerant people can tolerate butter very well because the amount of milk solids is so small, but if you are extremely sensitive or just want to be safe, you can make ghee. Ghee is the pure fat with the milk solids removed. It has a distinctly different (but still delicious) taste and is popular in Indian cooking. The other advantage to ghee over butter is that you can use it as a healthy cooking oil that can be used at high heats. Butter will burn at high heats due to the presence of the milk solids. 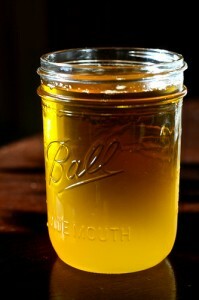 Ghee also can be stored much longer than butter without it going bad. What do you think? Is making ghee out of your butter just being ‘nit picky’ or did you find this video worthwhile? Is Butter Good For You? You May Be Surprised! 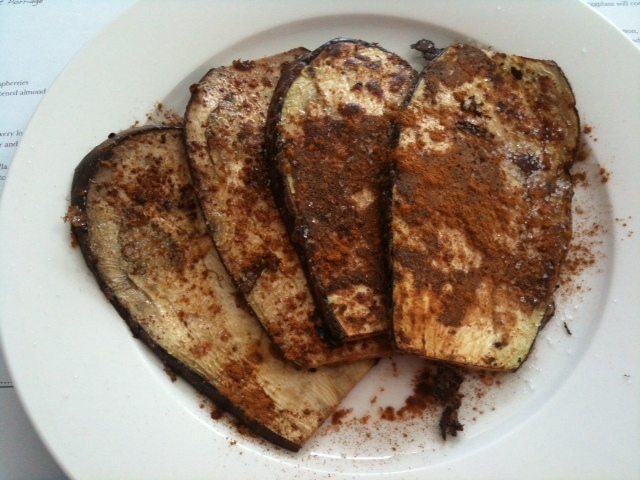 The Love Vitamin’s Guide to Eating Dairy When You’ve Got Acne Pumpkin Buckwheat Pancakes – An Acne Safe, Sugar Free Breakfast How to Make Candida Safe French “Toast” Out of Eggplants! I’m definitely going to make my own ghee after learning how easy it is. I take it you used cows butter, but could, if you wanted to, instead use goats butter? I guess with ghee the proteins aren’t as much of an issue so cows butter should be fine really. 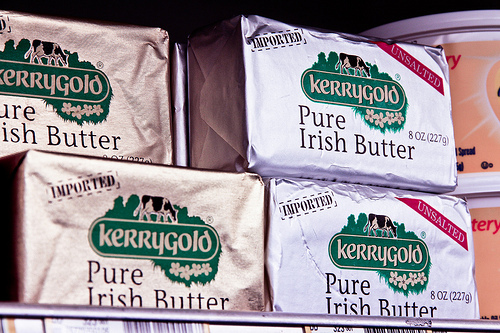 Would kerrybold work well as I read from the WAPF that Kerrygold is the best butter you can buy. I don’t think this kind of food preparation is ‘nit picky’ at all – it’s essential really, unless you prefer to buy it or just use coconut oil. Could you use RAW butter too? Is there much point paying extra for RAW when making ghee do you think? I don’t think there would be much of a point of paying for raw butter for ghee, since its being heated. And it’s all fat, and the saturated fat doesn’t get affected by heating. Yeah. Pointless, I’d say. looks like some irish butter to start with 🙂 good job! Ah I wish! haha… it’s just some organic butter from Vancouver island…. cows must have been eating some green grass though because I noticed it was nice and yellow! Definitely worthwhile Tracy! I have been buying Pukka Organic Ghee and it can be quite expensive (roughly €13 a jar! ), so this will probably save me a lot of money. I love to cook with butter, but I prefer ghee as it doesn’t go brown when you cook with it – which to me was an indication that it was more stable than butter to cook with (not sure if that’s true though!). Coconut oil is great too, but I don’t think it goes well with everything. Not nit picky at all Tracy. Anything that makes cooking healthier is a plus with me! I didn’t realise how simple ghee is to make, so thanks for that. I just used the last of my jar of coconut oil so it’s off to the shops to stock up on Kerrygold 🙂 Should save me a fortune! Can the butter protein that’s left over be used for anything, do you know? I kind of hate wasting anything if I can help it.. thanks. You hit the nail on the head. It’s great, but has sugar. And it’s in liquid form, meaning that the ~15g of sugar/serving most coconut waters have might spike your insulin. But if you’re not eating much sugar in any other part of your diet, don’t sweat it and enjoy that coconut water. It’s a million times better than drinking some HFCS sludge like Gatorade. 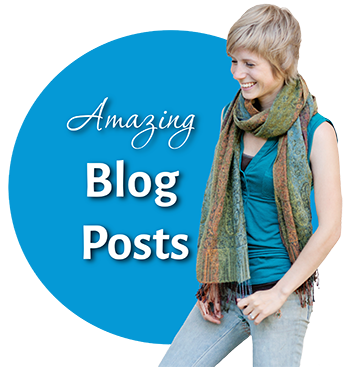 Hi Annemarie – that’s one of those little things we’ll probably never know for sure haha… so… I guess just take them however you feel most comfortable and don’t worry about it! hey tracy – sorry another unrelated post question. But do you have any good suggestions about what to eat/bring on a long flight? (As in 8 hours..i want something that will keep, gluten free act but so stuck on what I can bring) What do you usually do in airports/airplanes? Honestly, I usually just eat whatever they give me :/ Not really sure what to suggest…. sushi? Ah okay, its an evening flight so ill probably try and eat dinner in the airport somewhere before then sleep/snack on the plane. Also I was wondering about tahini..do you use raw tahini? Ive looked everywhere and can only seem to find toasted sesame seed tahini. Do you think there is a big difference or is that the one you use? Past tense because I stopped doing it after moving in with my ex boyfriend years ago, partly because I had other things on my mind and because I became very wary of dairy (my number one acne trigger)and went completely vegan (nutritionwise, I still used leather) for a while. But: I never had problems with ghee, and since my skin and health are remarkably great at the moment I will give Ghee another try and just see what happens. Cant be worse than ordering bacon/ground meat pizza(I am pregnant, I have cravings ;-)), and that went down pretty well! Thanks for reminding me about the delicious taste and smell of Ghee-making! I used to have pretty bad acne, but for the past three months my skin has been completely clear, or just one little minor breakout somewhere that I don’t really care about. I’ve started eating healthier and stuff, but I’ve given up some foods I really like, and I’ve slowly been adding them back in with no side affects. Two I’m hesitant about are dairy and gluten. I was wondering if cheese (by that I mean real cheese with cultures in it, minimally processed) and wheat bread were OK. 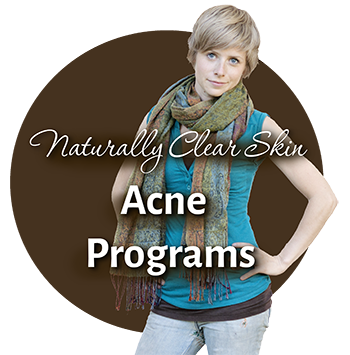 I eat yogurt or kefir with probiotics in it, which I heard (and it seems to be so) is good for the skin. So wouldn’t cheese with cheese cultures also be good? And I was considering to eat whole sprouted-wheat Ezekiel bread. Gluten-free bread in my area is rare, costs a ton, and tastes like sawdust. 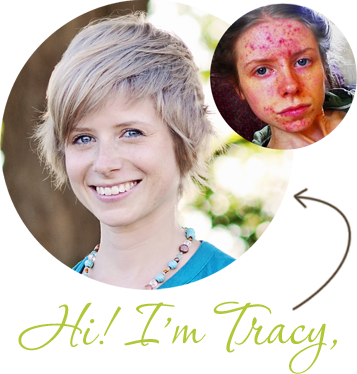 hi Anna – it all depends on how sensitive you are to these things – I’ve also recently begun eating dairy and gluten again and seem to be mostly fine, but if you happen to be really sensitive to one of those things, then you won’t really be able to eat it without breaking out. Everyone’s different – if you can get raw cheese though, it’s the best thing you can get – and as for bread, try making your own real sourdough bread from something that’s non wheat, but still has gluten, like rye (I’ve been making sourdough lately and it’s fun and delicious!) – or sprouted breads are good too! Hmm.. How do I eat it? Pure or do I add it over some foods? a few questions for the non cooking type. – Do you stir the mix ? – How long approx does it take once the butter is fully melted ? – Should I store in a fridge (does it go back solid) ?